Fusion Soju Club is a bar and restaurant located in the city of Gwanju, South Korea. 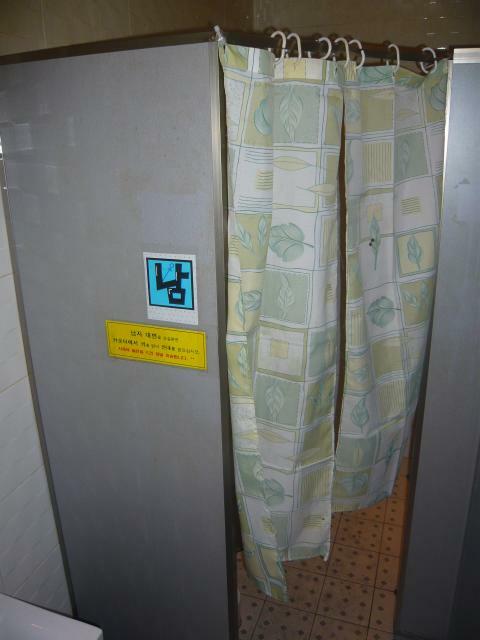 As is commonly the case in smaller South Korean restaurants and bars outside of Seoul, the bathroom is shared between the sexes. The room contains a sink, some stalls, and a curtained-off area containing urinals. 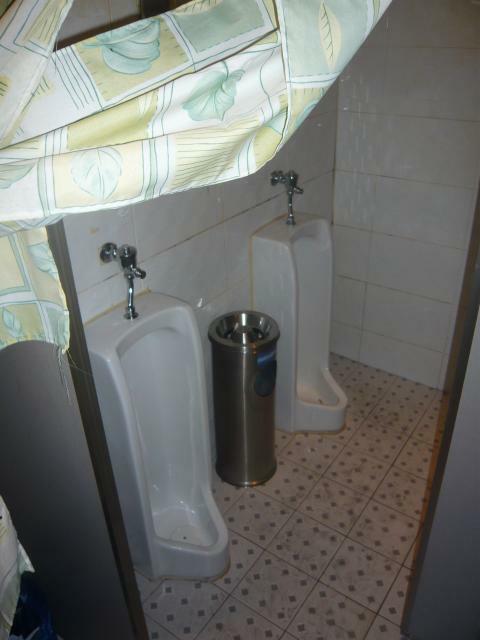 In this case, there are two urinals behind the curtain and two stalls to the right of the photo. For another example of a similar installation from the South Korean countryside, see the Goindol Bokbunjaju restaurant.